All the products used in this video are available to order online, including a range of materials to choose from, and a number of accessories/finishing tools. Break and abrasion-resistant compound material. Hard on one side and soft on the other. The hard side bonds to acrylic. Pre-dried and vacuum-sealed for instant use. Pressure moulding material made of thermoplastic polyurethane for use with DURASOFT® pd. Forms a robust inner layer of hard/soft splints providing good resistance against discolouration. Hard-elastic transparent material which bonds to acrylic. No pre-drying required. 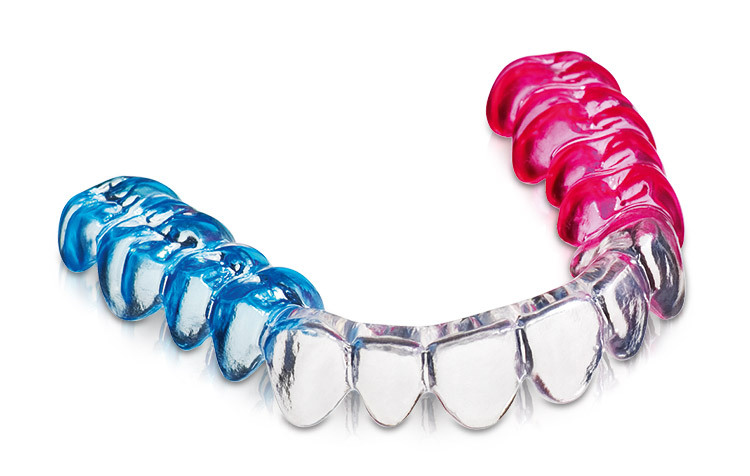 Ideal for occlusal splints and retainers. Hard-elastic transparent material which bonds to acrylic. No pre-drying required. With integrated insulation foil. Perfect for occlusal splints and retainers. A new formulation which is extremely resistant to breaks and abrasions. Pre-dried and vacuum-packed for instant use. Perfect for retention splints and other applications. Currently available to order via email and phone. Ensures optimum insulation for plaster against acrylic. Best suited as a spacer foil when pressurising hard-elastic material for splints. Transparent silicone, used for blocking out undercuts in pressure moulding splints. Also available in red. Currently available to order via email and phone. Robust and durable scissors for cutting splints or inserting cuts into splints after pressurising. Available in large or small. Fine, triangular bur for interdental finishing.